Pimples occur when dead skin cells clog the pores of your skin as well as when the sebaceous glands become more active. This infection often occurs in adolescents, thus individuals between the ages of 13 and 19. However, it can (may) also occur in adults. Ladies turn to be more sensitive when it comes to how they appear in front of their mirrors. They care more about their facial looks which is quite a good reason. Basically, the first spot for a guy's complement is a lady's facial look. When it comes to facial appearance, pimples haven't been that of a good friend, especially with adolescents. This article helps to provide tips as well as suggest some best practices to help you get rid of pimples. Many a time, people often link this infection to diets. This hasn't been proven and might not have enough evidence but a good diet plan may reduce the risk at which you get infected. Toothpaste is one of the best pimples hacks you could come across. Toothpaste helps remove oil and liquid from your pimple by drying up the infected area. This is how to go about it. → Get yourself a white toothpaste and a piece of cotton. → Place small quantity of toothpaste on your cotton. → Wait until it dries up within 15-30 mins and wash your face thoroughly. NB. Leaving it overnight is most preferable. So it's best to do it right when you're about to go to bed. With this, you can leave it until you're up in the morning. Neem plant has a good medicinal value and can be used to cure pimples. You only need a paste and you're good. →Take a good quantity of the paste and rub it on the affected area. →Wash your face after 30mins. Repeat the process for good results. →Mix enough water with the baking soda powder to make a smooth paste. →Apply the paste with your fingers on the pimple. Baking soda dries out a pimple and reduces inflammation. Aloe vera plant can be used for so many purposes, it helps in hair care and skincare among others. This is how you can use aloe vera to help reduce pimples infection. →Cut a piece of aloe vera plant. →Wash and clean it dry. →Divide the aloe vera into two equal part. →Rub the fleshy (inner) part of your divided aloe vera on the infected place. →Wash your face with warm water after an hour or two. Vinegar is neutral and its great for skin. It has a PH of 7. APV can be used to stimulate weight loss and even help reduce hair loss. Now, lets discuss how Apple Cider Vinegar can be used to treat pimples. →Get your APV and warm water. →Dip a cotton or a clean cloth into the solution and rub it on the affected area. →Wash your face with warm water after 30mins. Grab yourself a lemon and divide it into two equal parts. Squeeze it a little to get the liquid coming out and rub it gently on your face. Do this 2 to 3 times a week for good results. Ice cubes are also helpful in reducing the size of your pimple. It also reduces the reddish color of a pimple making it a little invisible. →Put it into a clean cloth and rub it on the affected place gently to smoothing the spot. It is wrong to burst pimples. Don't be deceived by what you see, what you see is not all you have. 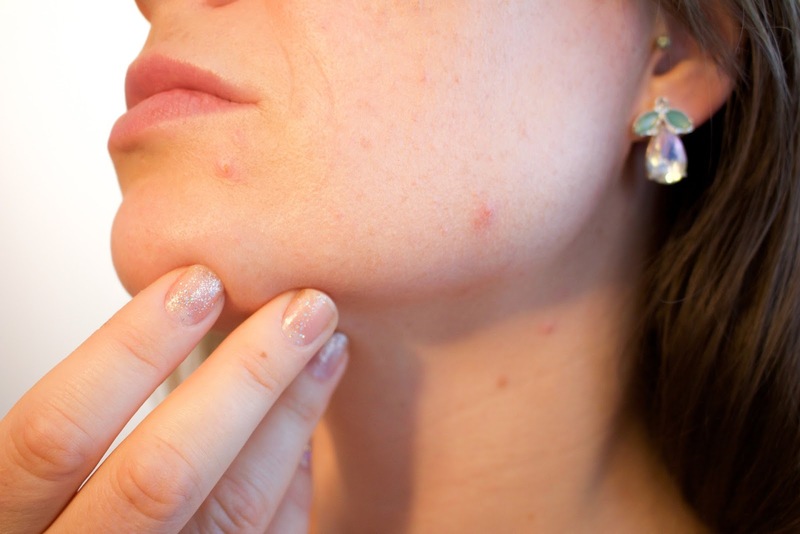 Pimples go beyond the first layer of your skin. Which makes it more of a bad practice to burst what you see on the outer skin. →Never scrub your face. This only results in getting the infection to other parts of your skin layers making it even more difficult to get rid of. →Wash your face with cold water at least twice daily to prevent opening your pores. →Make exercise & work out a routine.